You might have noticed that the election of Donald J. Trump as president of the United States is generating a lot of attention and controversy. But are you homeschooling the presidency? No matter our political views, there are issues brought up by the 2016 U.S. election and current presidency that our children can learn from. I happen to be homeschooling an older teen, who, if he were in school, would be a senior enrolled in a U.S. Government class. Kids in middle school, often 8th grade, also frequently take a course called Civics, which includes study of government. As homeschoolers, we can certainly take advantage of these particular times in our kids’ educational careers — 8th and 12th grades — to “cover” government. However, we can also help them learn about government through most of their homeschooling years, even without an official course. My kids have always seen me reading, watching, and listening to the news — and sometimes writing newspaper columns, magazine articles, and internet content — as well as producing radio news from my home studio as a correspondent for a radio news station. You may not have had such direct involvement in “the news,” but your kids will take notice if you are keeping up with the actions of our government officials. Kids are interested in what their parents are interested in, so if you want children who are informed about the issues, demonstrate your own interest. This is another way of saying “talk to your kids.” Depending on their age and interest level, give them summary statements of the day’s or week’s big happenings, just working them into the conversation. 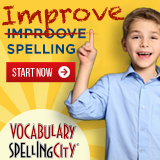 You can add explanations about the vocabulary as you go. “President Trump nominated a judge to the U.S. Supreme Court today. The Supreme Court decides whether our laws are in line with our Constitution.” And that, of course, gives you the opportunity to talk about the Constitution. Another day you can specifically mention the Bill of Rights, and on it goes. 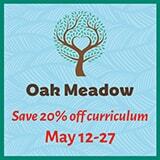 For older kids or those who are more interested, using an inquiry-based learning approach will be effective. Moving beyond just narrating or telling children about the events of the day, you ask questions that will help children think beyond the facts and vocabulary. “Why do you think we need a Supreme Court?” “Why do you think it matters how old a Supreme Court judge is when she or he becomes a Supreme Court justice?” Some children will go look things up; others will reflect the question back to you, so you can provide more information and ask another question. Many lines of inquiry may have their start in the news of the day, but quickly move to general principles about U.S. government. Some kids like complicated thought experiments, especially if they are older or more interested. Help children play things out mentally by asking “devil’s advocate” and “what if” questions. Also ask them to think about why other people may not share the same political points of view. What is it about people who have different backgrounds and life experiences that makes them reach different conclusions than those prevalent within the child’s own family? A most advanced form of this is to use the time-honored technique in competitive debating — ask your child to explain and defend a point of view that is opposite of the one she actually holds. Read appropriate news stories with your child, watch television news, and listen to radio news. Our smart phones and tablets make sharing articles and interviews easier than ever — I have written previously at TheHomeSchoolMom about PhoneSchooling with news apps as a way to share media with your kids. You can add a wider variety of apps than those I mentioned, which is especially important when gathering and sharing information about anything political. Discuss with your children what makes some news media considered more reliable sources than others — including a record for having accurate facts which stand up to scrutiny after publication. News about the presidency and the government is inherently political. You have your political views, and your children will pick up on them. Explain to your children the human tendencies of selective exposure, selective retention, and selective perception — which is to say that we humans tend to seek out, remember, and believe information that agrees with our existing political viewpoints, religious beliefs, and other understandings of the world. Children as young as 11 or 12 can understand the concept of confirmation bias, and by high school age, kids should understand how to challenge their own confirmation bias — and, sometimes uncomfortably — yours. Combined with reading news from various sources and inquiry-based learning, challenging confirmation bias builds critical thinking skills. Read more about my recommendations for learning about world view and confirmation bias at the article I have previously written for TheHomeSchoolMom. Specific to the Trump presidency, you can help your child understand confirmation bias by examining media which have different viewpoints on the same action. Compare the Washington Post piece Is This a Muslim Ban? with the Fox News piece Some Muslim-American Activists Back Trump’s Extreme Vetting. You can also find examples of op eds at each of these media outlets, where they intentionally provide space for views that may not meet their most common editorial viewpoint. Encourage your older children to read across the political spectrum and try to “test” their ideas through discussion and fact checking. Make sure your children have easy access to the text of the U.S. Constitution and in particular, the U.S. Bill of Rights. You can get a pocket size Constitution, and this educational placemat has the Bill of Rights on the flipside. I encourage you to make sure these types of reference pieces don’t include explanatory or interpretive passages. There should be sources in your home that just quote the original text. Then, when President Trump, his supporters, or his opponents mention things about the media (freedom of the press), protesters (the right to assemble and petition the government), or a “Muslim ban” or “extreme vetting” (freedom of religion), or a similar topic, you and your kids can find the relevant passages in the Constitution and discuss them. Your teens will be able to track down online sources that interpret the president’s actions in varying ways, depending on their interpretation of the Constitution. The George Orwell novel 1984 shot to the top of Amazon’s best seller list during the early days of Trump’s presidency, and I found both my conservative and liberal friends were reading or re-reading it. Here is a list of The Trump-era’s Best Selling Dystopian Novels from the BBC — keep in mind that lists such as this include commentary that will have point of view you may agree or disagree with. Many of these titles have content you will judge appropriate for more mature readers. One friend of mine said her family watches reruns of The West Wing and discusses issues from the show in light of current events. Other friends have watched and then praised or criticized news-related parodies, including Saturday Night Live skits depicting Trump. Beyond bringing up critical issues of the day, you may also find your teens are interested in why parody is protected speech and how slander laws apply differently to public and private citizens. President Trump has been a prolific Twitter user; Facebook has been full of polarized viewpoints, family fights, and fake news. Discuss with your kids how social media has impacted our view of the presidency, the president, and issues of governing. If your children use social media, ask them how the president is depicted on their preferred social media platform — any presence at all? Honestly, you could take a word or phrase a week and have your kids track down them down in articles and interviews about presidential politics, and you would cover an amazing amount of ground through discussion and reading. You — or they — can add catchphrases as you hear them developing, and then listen to how people in different groups use them in different ways — the media, politicians from the major parties, activists (pro and con), and regular folks. This pairs well with a reading of 1984, by the way, since Orwell depicted the importance of how language is used in the political landscape. While President Trump is largely backed by Republicans, his political positions have not always neatly lined up with recent Republican positions. Explore other political descriptors for presidents and world leaders such as populist, nationalist, authoritarian left, and authoritarian right. You and your kids might want to take one of the four quadrant political quizzes available online. As you and the kids discuss presidential politics, be sure to give them the opportunity to locate the places you hear about on the news. There are world map placemats and wall maps that are easy to mark on, or you could choose to hang a world map shower curtain. Don’t forget to look for world geography apps for your smart phone and tablet. What constitutes “the Middle East”? Where would President Trump like to see “the wall” built? Where are the seven countries where travel restrictions were invoked in January, 2017? Which countries in the world are majority Muslim? Where is Aleppo? Where are Russia, China, North Korea, South Korea, and Ukraine? Which countries in the world have suffered the most terrorist attacks? Which countries hold substantial oil reserves? Which countries are most concerned about potential impact of climate change? What countries make up NATO? Where does the U.S. have military bases? We have heard about these and other countries in the context of trade, immigration, war, terrorism, defense, religion, science, humanitarian needs, art, the United Nations, civilization, sports, natural resources, culture, and national and international politics. Make sure your kids know the geopolitical significance of these countries when President Trump mentions them. Your family may identify with a cause or event that is part of the president’s agenda — or the agenda of his political opponents. Marching, volunteering, contacting Congress, and otherwise being politically or socially active can make your political philosophy feel more actionable and concrete to your children. Yes, you can wait until a certain grade or year in your child’s life to cover U.S. Government. However, with presidential politics in our faces in such a dominant way, you might miss an opportunity to enrich your child’s understanding if you don’t begin integrating it now. Think of it as an ongoing unit study, in which your child can practice reading, fallacy and cognitive bias detection, critical thinking, current events, social studies, oral communication, internet research skills, and citizenship. 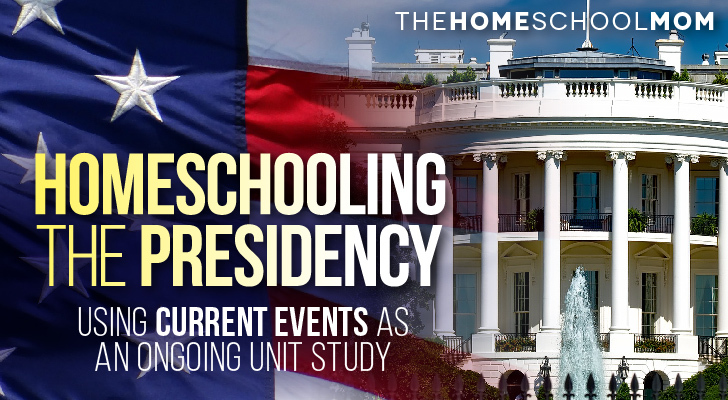 You can hang maps, download apps, check facts, and fill in gaps now, and your young homeschoolers will grow into a deeper understanding of the U.S. presidency. Author’s note: This article is intended as nonpartisan, which sometimes causes people of opposing political points of view to each think it is biased against their position. There is no intent to advocate for any specific political party or position. Homeschoolers spring from all walks of life and have a wide variety of political points of view, religious beliefs, and philosophies. The educational methods recommended will help children learn about the presidency, government, and politics, regardless of their parents’ specific political affiliation.